As people come together to celebrate the joyous Eid Al Adha holiday, Dubai Festivals and Retail Establishments (DFRE) an agency of Dubai Tourism, has released the line-up of exciting events and activities taking place across the city for residents and tourists to enjoy. As there are many GCC visitors during this period many interesting programmes are lined up. It will consist of two concerts taking place across the city by two renowned Arab music icons. On September 2, Emirati singer Shamma Hamdan will perform at Dragon Mart 2 at 6.30pm whilst later in the week Mohammed Abdo will take to the stage at Dubai World Trade Centre on 6 September at 9pm to delight fans with a raft of hit songs. 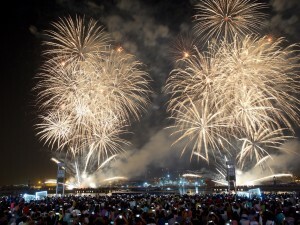 The highly anticipated fireworks will take place on the first day of Eid at Dubai Festival City at 9pm and 11pm. Firework displays will also take place at The Beach opposite JBR daily from August 31 to September 3 at 8.45pm. 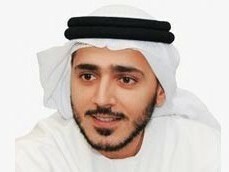 The venue will also host various performances on a daily basis to keep families entertained throughout the Eid holiday. La Perle as it opens its doors this Eid from 31st August. Sports-lovers can head to Dubai World Trade Centre which is hosting the 7th edition of Dubai Sports World featuring sports, tournaments, academies and activities designed for both serious athletes and sporting novices of all ages. 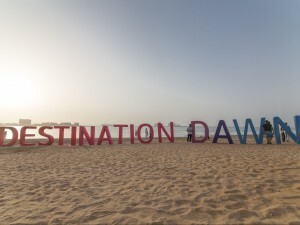 Destination Dawn, the 12-hour beach festival on Ras Al Khaimah’s Al Marjan Island, will return to the emirate on October 6, 2017. 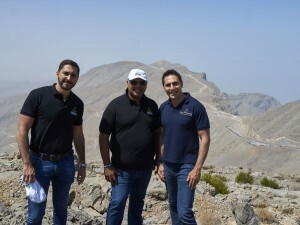 The biannual festival, organised by Ras Al Khaimah Tourism Development Authority (RAKTDA), saw more than 2,000 party-goers descending on Al Marjan Island in May. The pristine beaches of Al Marjan Island – Ras Al Khaimah’s coral-shaped archipelago – will again be transformed into a festival hangout with food trucks, beverages and chill-out zones, Destination Dawn ticket holders can choose to either camp at the festival, reach the party via free shuttle buses from Dubai, or book a staycation in one of the island’s luxury hotels. with headliners R3HAB, one of Holland’s hottest music exports, Dutch duo Bassjackers, and Russian trio Swanky Tunes. Kicking off at 5 pm on October 6, revelers can dance all night until 5am on Saturday. Ticket holders can bring their own tents and camp on the beach, making the festival a truly unique experience. Tickets for the over 18’s only event will be on sale from beginning September through www.destinationdawn.com, Virgin Tickets, and Platinum List. 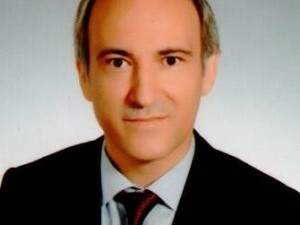 According to new data released by the Turkish Consulate General Cultural and Information Office in Dubai, 1,226,665 Middle East travellers landed in Turkey between January and June 2017, which means that tourist traffic to Turkey from the Gulf Cooperation Council (GCC) countries continues to show strength, rising by 26.29%, or an estimated 360 thousand travellers, in H1 2017 in comparison to the same period in 2016. The number of United Arab Emirates nationals travelling to Turkish destinations increased by 9.86%, while Kuwaiti traveller numbers increased by 41.04% and travellers from Bahrain increased by 31.86%. The UAE figures are particularly striking. The first six months of 2016 saw a decrease of 20.99% in traveller traffic from the UAE to Turkey, and this year, it recovered to increase by almost 10%, or over 18 thousand travellers. Ramadan played a big part where UAE travel into Turkey increased by 330.33%. Travellers from Saudi Arabia led the way, with over 205,000 holidaymakers visiting Turkey in H1, followed by Kuwait and Bahrain with 94,000 and 23,000 travellers respectively. 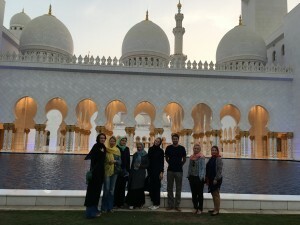 This year, Dubai Tourism has provided alternate higher education options for high school leavers, who dont wish to take the traditional academic route to university. 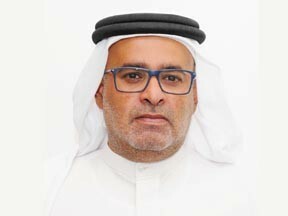 The newly inaugurated Dubai College of Tourism, a government-backed institution that will specialise in vocational training for the Emirate’s thriving tourism and hospitality sectors, is now accepting applications for its September 2017 ‘Introduction to the Tourism Industry’ course. The vocational courses offered by DCT have been designed to provide a middle ground between on-the-job training and a purely theoretical degree. Students will learn practical and marketable skills that have a direct application in real life, and the training will open new doors, allowing students to explore a myriad of exciting and rewarding career opportunities. DCT’s courses are focused around five core faculties – Tourism, Events, Hospitality, Retail and Culinary Arts – and aims to help young people learn various trade and soft skills from established professionals in the industry. The college aims to educate and empower the future leaders, entrepreneurs and employees of Dubai’s expanding tourism industry, ensuring a steady pipeline of highly trained hospitality professionals for the city. Until now, there have been very limited options for this type of vocational training within Dubai. 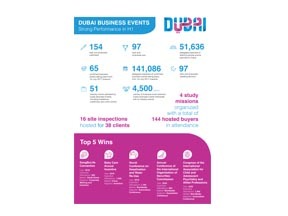 According to a 2014 Deloitte study, only one to three percent of Dubai’s students enrol in vocational education after high school, something which could lead to labour shortages within key industries in the future. With Dubai’s tourism and hospitality sectors set to employ a workforce of more than half a million by 2020, the dedicated industry-focused vocational training offered by DCT, has never been more important.